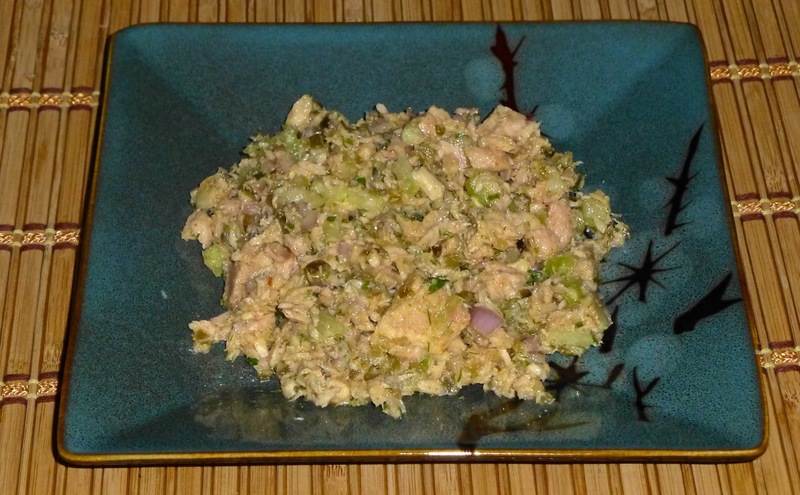 What a great lunch idea — Paleo Tuna Salad. This recipe is really good and I’ve made it twice already in the past week with a little variation. The ingredients are easy to find at your local grocery store. Make sure you have the paleo mayonnaise made ahead of time so that you can keep things moving as it’s so so simple to put this together. Are you concerned about the cayenne pepper? Don’t be. I don’t like spicy foods and the amount of cayenne pepper in this recipe gives it a nice hint of spice but it is not overpowering at all. Put all ingredients in a large bowl and combine everything. Whala! See how simple that is? The first time I made this recipe, I used 2 cans of tuna in water. I liked this better the second time around but you can play with it and see what you think.